After winning the First prize at the 9th Jeunesses Musicales Conducting Competition in Bucharest in August 2018 Anton Shaburov is considered to be one of the most promising young Russian conductors. Another competition successes include the First prize at the 2016 Felix Mendelssohn International Conducting Competition and Grand prix together with the special audience award at the 2013 Ilya Musin all-Russian Conducting Competition. Since 2017 Anton Shaburov is a Principal conductor and Artistic director of the Far Eastern Symphony Orchestra (Khabarovsk, Russia) and Permanent Guest Conductor of the Mariinsky Theatre (Primorsky stage). As a guest conductor Anton Shaburov performed with MAV Symphony Orchestra Budapest, Kodaly Philharmonic Orchestra, I Solisti Aquilani Chamber Orchestra, Plovdiv Philharmonic Orchestra, City of Thessaloniki Symphony Orchestra, Moscow City Symphony Orchestra, Ekaterinburg State Opera and Ballet Theatre and Rostov-on-Don Philharmonic Orchestra among the others. In 2018 Anton Shaburov took part in the Valery Gergiev’s International Mariinsky Far East Festival in Vladivostok and Yuri Bashmet’s Festival in Khabarovsk. Future engagements include important debuts with the Moscow State Symphony Orchestra, Novosibirsk Philharmonic Orchestra, Sanremo Symphony Orchestra, Chinese debut with the Heilongjang Symphony Orchestra as well as series or concerts in Romania with Symphonic Orchestras of Bucharest, Iasi, Tirgu Mures, Timisoara and Sibiu. Anton Shaburov received his musical education in two major Russian music institutions - the Ural State Mussorgsky Conservatory and the Moscow State Tchaikovsky Conservatory. In Moscow he studied conducting with the legendary professor Gennady Rozhdestvensky. Starting his professional conducting career as a Principal conductor and Artistic director of the Symphony orchestra of the Ural Conservatory Anton Shaburov led more than 40 concert programs and several festivals dedicated to Rachmaninov, Liszt, Tchaikovsky, Shchedrin, and Zolotaryov. 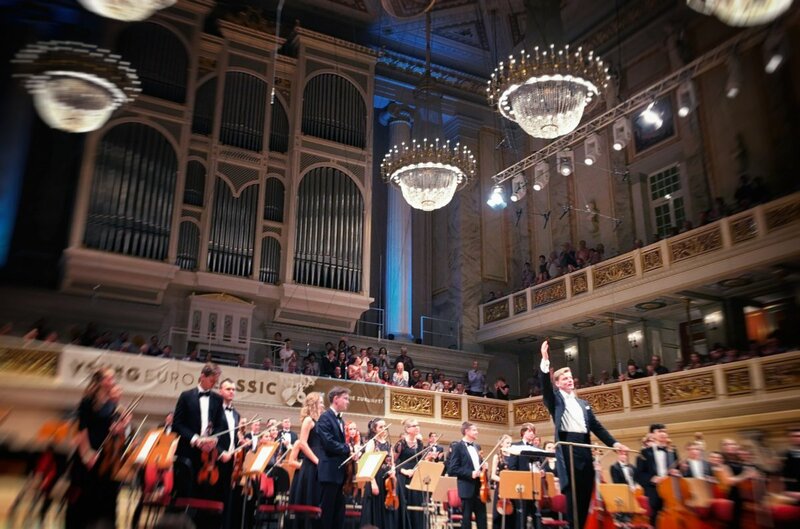 In August 2016 Symphony orchestra of the Ural Conservatory under the baton of Anton Shaburov faced its highest triumph in the Konzerthaus Berlin at the Young Euro Classic 2016 festival. The performance of the all-Russian program had a notable success and was also very warmly met by the German and Russian musical press. In addition to his accomplishments as a conductor Anton Shaburov is a devoted historian and holds a degree in History from the Ural Federal University of Ekaterinburg.